On Sunday, November 13th, I led a workshop entitled “Reconnecting Children to Nature” as part of the Climate Stewardship Summit, sponsored by the Interreligious Eco-Justice Network of Connecticut (IREJN). It was an event fused with a commitment to continue to work to fight climate change, especially with the concern that the new presidential administration to take office in January 2017 will not believe in the existence of global warming and climate change. What follows are portions of my presentation, along with resources I referenced. As adults, it is so easy for us to encounter God’s creation and environmental ideas with a sense of apathy. Children, on the other hand, have a sense of wonder about creation. If they are to keep that same sense of wonder into adulthood, they need to have adults who model these attitudes. This task is not always easily accomplished. My hope is that this workshop will provide information, activities, and resources that will assist you as parents, teachers, and faith leaders to help our children and youth continue to grow in wonder and awe of all that our Creator has given to us. As part of creation, children are included in what God has deemed “good.” Yet they are often the most vulnerable because of their need for loving care. In a world where drastic global environmental catastrophe is a growing possibility, especially now, the youngest ones are the ones who will inherit the actions of past generations as well as what we do today. If we think about the needs of those who will live seven generations ahead, then our planning and actions will help insure a safe and healthy world for the future. Children need nature. This is how they ground themselves, both literally and figuratively. Connections to the earth, God’s creation, is the best way for children to experience their connection to God the Creator. Studies show that the children who experience nature develop better observation skills, are more creative, concentrate better (this includes those with ADD), and have “more advanced motor fitness, including coordination, balance, and agility.” Outdoor activities engage children in the use of all their senses and help them develop scientific inquiry. Interactions with nature fosters a respect for diverse life forms and a heightened sense of self worth. Conversely, children who are separated from nature are more likely to suffer from depression and obesity. Before you can save something, you need to learn to love it. As parents, educators, and faith leaders our role is to help young children experience the world first hand through their senses. Watching worms wriggle above ground after the rain, looking closely at snowflakes as they fall, comparing the variety of leaves that there are. All while wondering with them, how God made each one of them different. Before the age of eleven they are not ready to learn about endangered species or saving the rain forest. It is too overwhelming for them and can make them feel helpless. There are two images we can focus on in our faith communities in regard to teaching about creation care. The Tree of Life as a metaphor is found in many traditions: Buddah received enlightenment while sitting under the Bodhi tree. 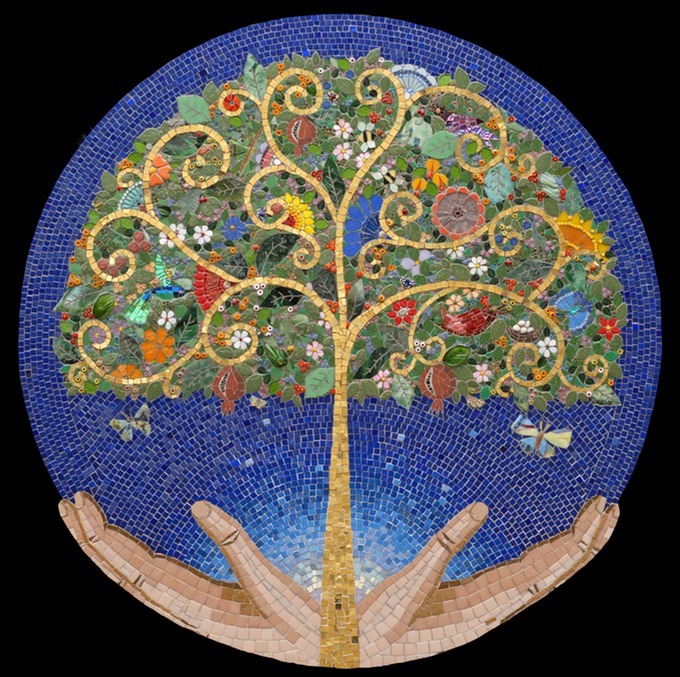 In the Baha’i faith, the concept of the tree of life appears in their writing, where it can refer to the Manifestation of God, a great teach who appears to humanity from age to age. For Christians and Jews, the tree first appeared in the Garden of Eden, as a promised reward for everlasting life. The Tree of Immortality is the tree of life motif as it appears in the Quran. The other image of creation is water, also an essential component of the beliefs and religious practices of all faih traditions. 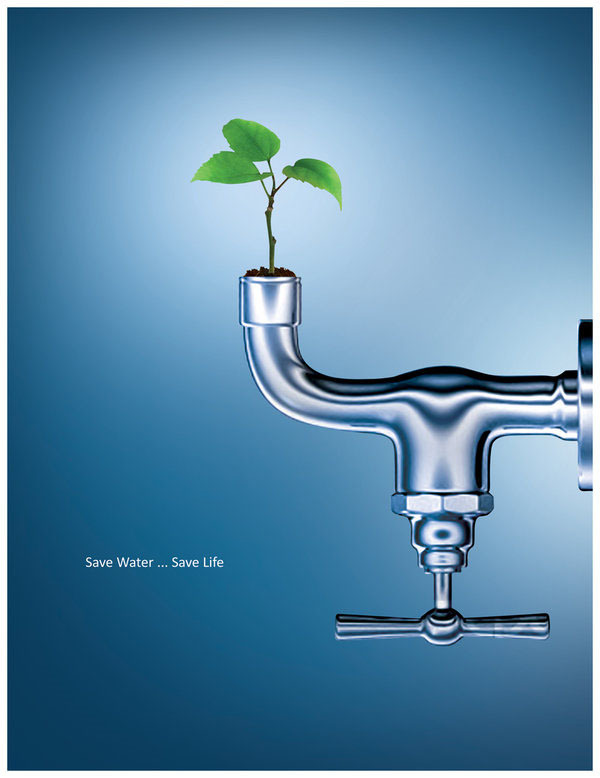 One of the first things created by our Creator, it is a source of life to all living things. Ritual washing is part of Christianity, Hinduism, Buddhism, Sikhism, Judais, Islam, the Baha’I faith, Shinto, Taoism and the Rastafari movement. For Christians, water is part of the rite of initiation called baptism. Certain rivers are also sacred to many religions: the Jordan River, the Ganges. Cleansing and purification are important for many, with ablutions performed before prayer, a ritual meal, or entering a sacred space.